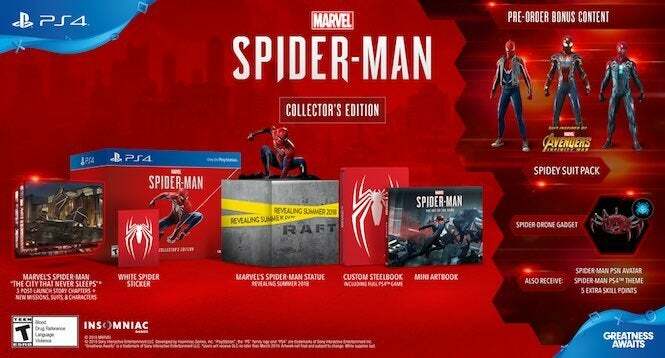 If you’ve been looking to get your hands on the Spider-Man Collector’s Edition set for PlayStation 4, but just haven’t been very lucky when it comes to grabbing a pre-order, relax. We’ve got you covered. GameStop has made the Collector’s Edition of the game available again, going for $149.99 and ready to ship on Sept. 7th when the game comes out. But this will likely be a limited time offer, so once it’s gone, it’s gone! We’ve included a photo of the Collector’s Edition below so you can get a good idea of what you can get, though we’ve also listed the separate components as well. It’s packed! Marvel's Spider-Man: The City that Never Sleeps - consists of three-post launch story chapters featuring new characters and missions. Users will receive DLC by March 2019. That’s quite a deal, especially for those that want to get the full Spider-Man experience that the game has to offer. But again, this won’t last, so jump on it while you have the chance! Here’s the official synopsis for the game, straight from GameStop’s listing! "Starring one of the world's most iconic Super Heroes, Marvel's Spider-Man features the acrobatic abilities, improvisation and web-slinging that the wall-crawler is famous for, while also introducing elements never-before-seen in a Spider-Man game. 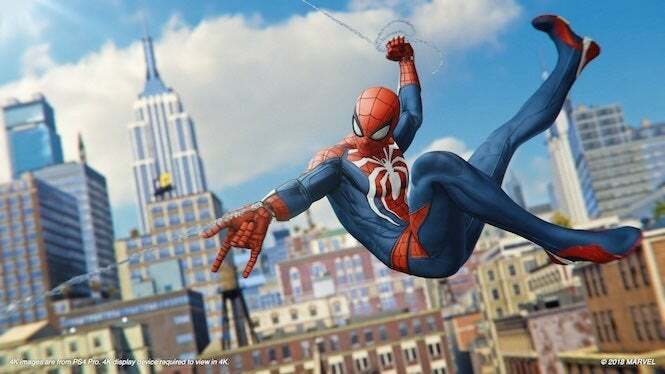 From traversing with parkour and unique environmental interactions, to new combat and blockbuster action, it's Spider-Man unlike any you've played before," the synopsis reads. "Sony Interactive Entertainment, Insomniac Games, and Marvel have teamed up to create a brand-new and authentic Spider-Man adventure. This isn't the Spider-Man you've met or ever seen before. This is an experienced Peter Parker who's more masterful at fighting big crime in New York City. At the same time, he's struggling to balance his chaotic personal life and career while the fate of millions of New Yorkers rest upon his shoulders," the synopsis adds. For those that miss out on this, not to worry. The standard edition is still available for $59.99; and there’s a digital deluxe edition for $79.99 that includes the game, the three bonus episodes and other great goodies! Spider-Man releases on Sept. 7 for PlayStation 4 and PlayStation 4 Pro.